Whether it’s a flood or just a leaky roof, the adverse effects of water damage can be silent but deadly. It can manifest in discoloration on walls and ceilings, toxic mold, and even shorted out appliances. A report by The Denver Post which covers the aftermath of Hurricane Harvey in 2017 detailed the damage that 100,000 homes in Texas and Louisiana sustained due to flooding. Here’s what we can learn from that report. Texas and Louisiana took the brunt of Hurricane Harvey’s wrath. Both of these states have mostly clay soil foundations. According to the expert the Post interviewed, when the clay soil gets soaked in water, it expands unevenly, causing the ground to lift. As the soil rises, it cracks parts of the concrete slab that supports the home. Some say this phenomenon may cause the house to detach itself from the foundation and float off. Hence, it’s always smart to maintain your home’s drainage and gutter system regardless of the weather, to prevent water from mixing with the foundation and leaving it soft. 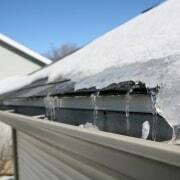 Your seamless gutter might need some repairs or replacement, too. Even minor problems like a broken spout or uneven soil can let flood water seep into your foundation. About 25% of the world’s population lives without electricity, but some Americans may find such a situation unacceptable. Luckily for the states affected by the hurricane, flooding from the rainwater didn’t create much of a problem in the wiring. However, switches and outlets penetrated by water had to be replaced. The same goes for appliances like televisions and refrigerators. Since they’re difficult to repair and restore, it’s better to get new ones. If the weather forecast in your area includes strong rain and wind, prepare for it by unplugging your appliances and bringing them to higher ground. It also helps to use a smart water sensor in your basement and living room to alert you of any leaks or flood that went unnoticed. Most of the houses ravaged by Harvey had warped or rotten floors. Some of them were beyond repair, according to the report, especially homes with carpeted floors that couldn’t be restored. Residents had no choice but to pay for expensive and time-consuming floor replacement. The best way to prevent these costly restorations is by opting for water-resistant options like porcelain and ceramic tile. They’re durable and water-resistant as long as they get regular maintenance. 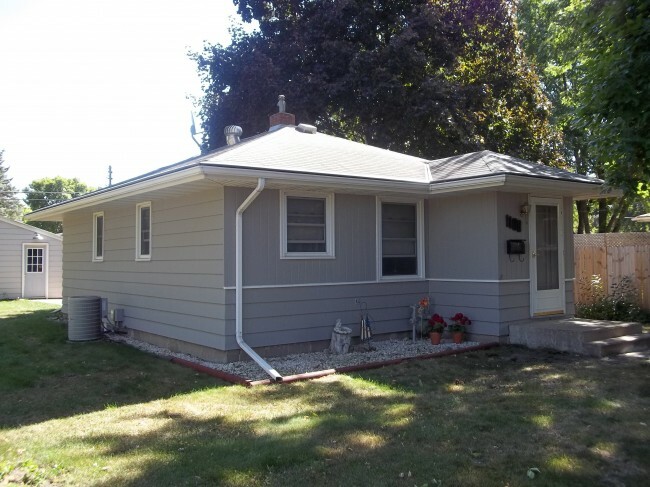 If you’re looking for a more affordable alternative, go for sheet vinyl or bare concrete. Don’t wait for a hurricane forecast to inspect your home for possible vulnerabilities. If you’re unsure about what to fix, hire a home inspector who is skilled in finding any problem. While repairs like gutter leaks might be easy to do with sealants, they’re temporary solutions. The best thing to do is to hire professionals for gutter repair and replacement. While it may seem like a lot of work, nothing can protect your home from calamity more than preparation. Your gutter is essential to keeping water off your basement and home foundation. With over two decades of experience, Bruce Andrews Seamless Gutters provides worry-free seamless gutters and gutter protection in Minnesota and Wisconsin. 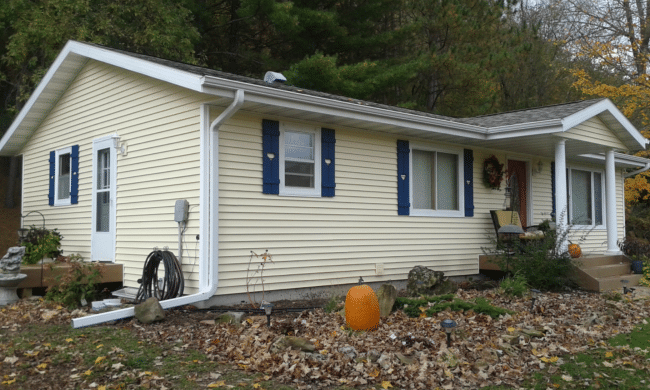 We guarantee that our gutters aren’t only strong, but they also fit the look of your house. The effects of climate change are evident in our everyday lives as average temperatures in different states reach extreme levels. Here in Wisconsin, temperatures climbed to over 100 degrees Fahrenheit last 2018 Memorial Day weekend and set a 107-day long record of unprecedented warm temperatures peaking at 70 degrees or higher. The higher temperatures are taking its toll on homeowners. With space cooling accounting for around 15 percent of your total electricity consumption, higher temperatures can only mean higher bills in the future. As climate change worsens and temperatures reach unprecedented highs, it will be hard to escape surging electricity bills in the summer. One way you can lower your energy consumption is to switch to a more energy-efficient roofing system. Bruce Andrews Seamless Gutters offers quality metal roof installation and repair to help you live more comfortably and manage your household expenses. The roof is the part of your house that receives the most heat and energy. With a traditional energy-absorbing asphalt roof, heat will be trapped in your attic, raising your home’s overall temperature. This makes your heating, ventilation, and air conditioning system work overtime. On the other hand, the reflective surface of metal roofs means more heat from the sun bounces off, which helps you save up to 40 percent in cooling costs. They’re useful during the winter, too. While it helps reflect heat during warmer months, metal roofing improves your insulation and heating during the colder months. You also have the option to further raise the effects of your metal roof while maintaining your desired house aesthetics thanks to special treatments. Cool roof coatings have special inorganic and reflective pigments that boost its heat and solar reflection. Moreover, the color of the coatings doesn’t affect it’s the efficiency of its cooling benefits. So, you can paint your roof in darker colors without worrying about bringing down its reflection rate and your energy savings. These coatings also offer additional protection from ultraviolet light, increased water-resistance, and better roof durability. Metal roofs have another advantage over asphalt roof shingles and fiber cement shingles — their life span. Cool metal roofing will last your home anywhere between 30 and 50 years. These types of roofs don’t require as much maintenance as long as it’s made properly and treated with special coatings. Meanwhile, the life of an asphalt roof only lasts around half of that (between 20 and 25 years). Aside from saving money on replacement costs, you’ll also be saving the environment from roofing material waste. Additionally, metal roofs are 100 percent recyclable. In fact, many metal roofs today are manufactured using 25 to 98 percent recycled waste. There’s also almost no limit to how many times you can recycle them. All the advantages metal roofings offer are reflected in its up-front costs, which are understandably higher than traditional roofing. Still, metal roofs are an investment for your future. The higher initial cost pays off in the after a few years. Thanks to cool metal roofs, you’ll see a notable reduction in your energy costs and roof repairs. One thing you need to make sure, though, is to have a reliable and highly skilled team install your new metal roof. Bruce Andrews Seamless Gutters is here for all your roofing needs. We use high-quality roofing materials and ensure correct roof installation. Contact us today to get maximize your energy savings. 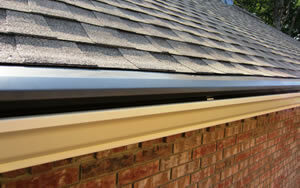 Installing Seamless Gutters in MN is a must due to the high volume of humidity , moisture and rain every year. Having Seamless Gutters on your home in MN can be very crucial to keep your foundation in place and free from erosion that could occur if you do not have proper down spout drainage with your seamless gutters. 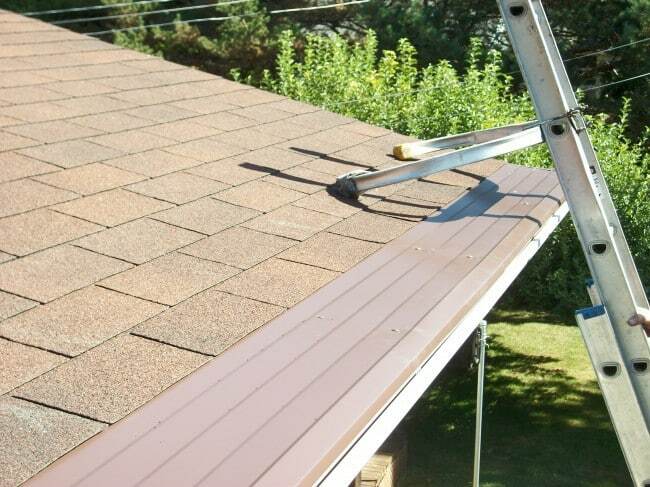 Having the proper installation of Seamless Gutters in MN depends on the contractor you decide to choose. 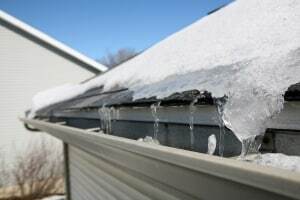 If you are deciding on investing into Seamless Gutters on your home in Mn you should receive multiple bids, make sure the company is insured and Licensed, and has quality products and warranties. Bruce Andrews Seamless Gutters has A+ reviews and high quality ratings not only on Angie’s List but home Advisor and with the BBB. The most common mistake in choosing the right contractor is going with price vs. quality. The old phrase ” you get what you pay for” is very true when it comes to home expenses especially on the last steps of finishing your home. Most people think that Seamless Gutters are going to be inexpensive or at least should be. That is very untrue! To have the quality, longevity and warranty that should last a lifetime, you would definitely want to choose a top rated company for your Seamless Gutters needs in MN . 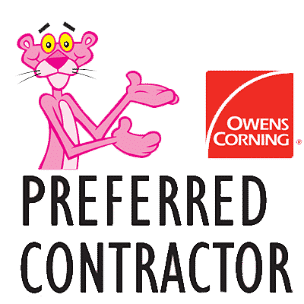 When receiving a quote for a Seamless Gutters or home construction estimate for work to be preformed on your home you want to make sure that the next few steps are covered. By Following the steps that were covered on purchasing Seamless Gutters in MN you should be ready to move forward in the process of searching. Installing new Seamless Gutters as well as a great Gutter Protection System on your home is crucial when it comes to making sure your home is free from any landscaping erosion. Also by adding the LeafLock gutter cover system this saves you with the tedious job of cleaning your gutters when the leaves an d debris collect in them and clog them up. How do you know when you haven chosen the correct Seamless Gutters, and Gutter Protection? When it comes to adding essential needs to your home it is always smart to do product research, company research and find a budget that works great for you. As well as having the benefits of the best Seamless Gutters and Gutter protection on the Market. Bruce Andrews Seamless Gutters covers all three points of that are stated above, Bruce Andrews Seamless Gutte rs Provides customers with the Best Seamless Gutters and Gutter Protection on the market. Bruce Andrews Seamless Gutters is partnered with Truss INC, and are the only dealer of LeafLock Gutter Protection Systems and Snaplock Gutters in Western Wisconsin and all of Minnesota. The Leaf Lock System utilizes the latest in 30 years of engineering and technology to provide you with the One-True System which combines the best of proven technology with the best of new technology. The LeafLock gutter system is a nose-forward hooded system, the most cosmetically appealing leaf protection design in the industry actually extending the roof line over the gutter with thick .0 24 high grade ribbed aluminum coil strong enough to last a lifetime. all other debris to fall to the ground and allows your gutter system to channel water away from your home forever. The bracket also permanently eliminates any front-to-back movement of the LeafLock panel for the life of your home which keeps your system working correctly. The LeafLock hanger & bracket system is the only free-floating system available that allows the panels to adjust to changing temperature which eliminates buckling and warping of the panels! Click the video below to watch the water display!